Vertice material keeps your hands comfortable and dry rather than clammy and wet! The material can hold up to the wear and tear caused by trekking poles. Ergonomic fit on the hand and thumb. Long enough for your jacket sleeves to comfortably overlap the wrists. Elastic wrist bands have a clip to attach the mitts together or to hang them to dry. The elastic exits at the palm to distinguish the left and right hands. 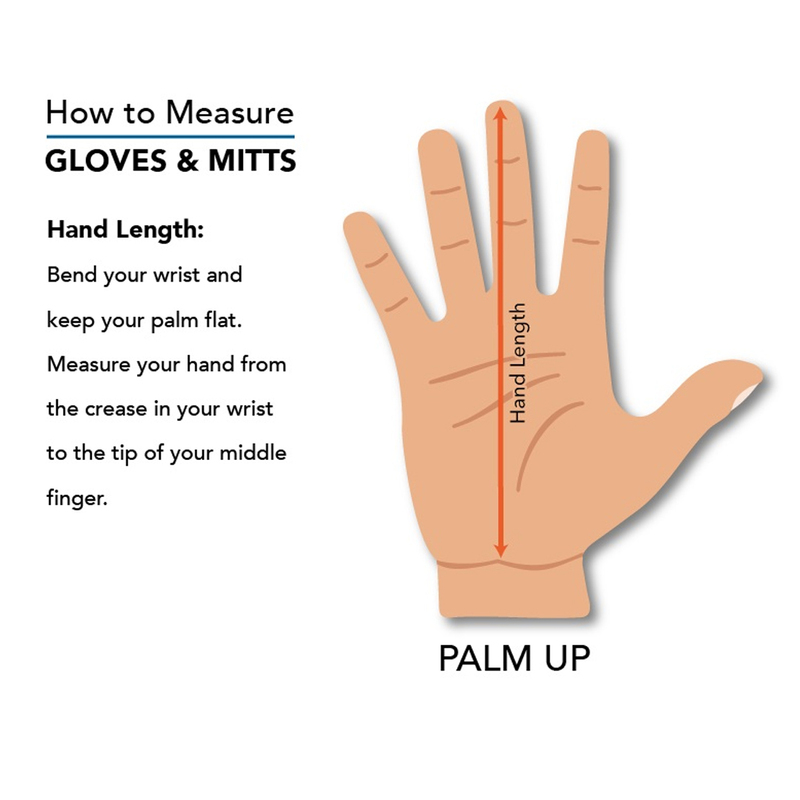 The mitts are sized to be worn alone, or with a pair of thin liner mittens or gloves underneath for cold weather. These PossumDown gloves work great as liners under your rain mitts.